The creation of BSkyB is a magnificent achievement and deserves its success; real risks were taken along the way to its current dominance. But the cause of media plurality – a cornerstone of British democracy – is about to suffer a serious setback. 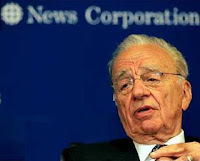 Culture secretary Jeremy Hunt is expected shortly to give Rupert Murdoch’s News Corporation empire the final approval to take 100 per cent control of the satellite broadcaster. It will be the culmination of a long campaign, which will cost Murdoch more than his initial £7.8 billion offer and will oblige him to hive off Sky News. But in return he will be able to join BSkyB – the UK’s largest broadcaster by sales – to what is already the country’s biggest newspaper group with The Times and The Sunday Times in its stable. Bundling pay-TV and newspaper subscriptions and cross-media buy-ups would follow. Even though the merger doesn’t infringe the letter of European law, it does its spirit and likely would have been impossible in the US where NewsCorp owns Fox and extensive publishing interests. Particularly galling is the green light will come while NewsCorp’s News of the World newspaper faces allegations of wide spread telephone hacking. Several on-going investigations have yet to see how far up the chain of command approval for the invasions of privacy had spread. I have to acknowledge the Labour government brown-nosed Murdoch and his editors just as assiduously as Downing Street’s current residents. There’s no reason to think it would have thwarted Murdoch’s ambitions if it was still in office. Nor do I believe the outcome would have been any different if Vince Cable was still ruling on the bid instead of being replaced by Hunt. His boast he had “declared war on Mr. Murdoch” was mere hot-air to impress two undercover hackettes. It has to be said too that through its size the BBC – funded by the public – is a barrier to entry to commercial broadcasters especially at local level. But two or more wrongs don’t make a right. At the very least Hunt should keep the Sky takeover on ice until the ramifications of the phone hacking scandal are clearer. But no doubt keeping the right side of Murdoch counts for more. And they say that currently Afghanistan is the second most corrupt country in the world. On the Freeview TV service in the UK, 24 hour Sky News [ch 82] is the only Sky channel currently on offer. If/when it is hived off, will it , I wonder, stay as part of Freeview under its new owner or will it disappear altogether, leaving BBC [ch 80] and Russia Today [ch 85] as the only 24 hour news channels plus Al Jazeera [ch 89] from 6 pm to 11 pm. [? ].